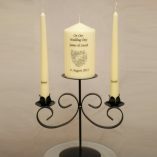 Golden Wedding candles for a very special celebration. Make your wedding more special with our beautiful golden wedding candle. 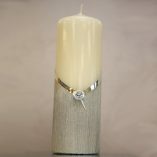 We understand how important a wedding is to all involved. 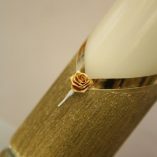 You want every last detail to be perfect in order for the day to go smoothly. 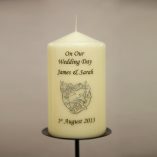 Fortunately, we’re here to help make the day more special with our beautiful range of wedding candles. Our golden wedding candle is elegant and classy yet bold and unique at the same time. Whether your wedding is big and extravagant or small and personal, our candle can add a little excitement to the occasion and make it a little more special. 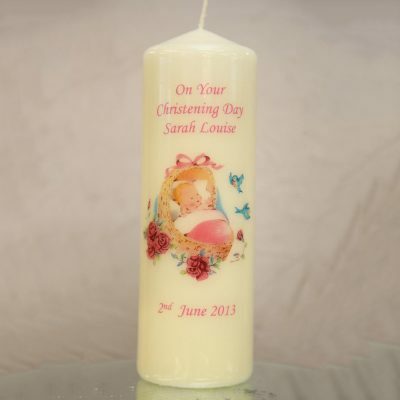 All of our candles are hand-made and can be customised with a name and date. 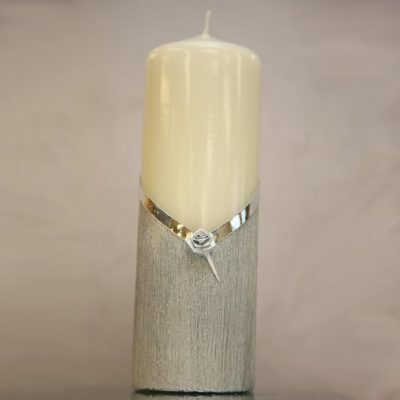 Whether you’re looking for a beautiful addition to your ceremony or simply a keepsake that you will treasure forever, our golden wedding candle works for any occasion. 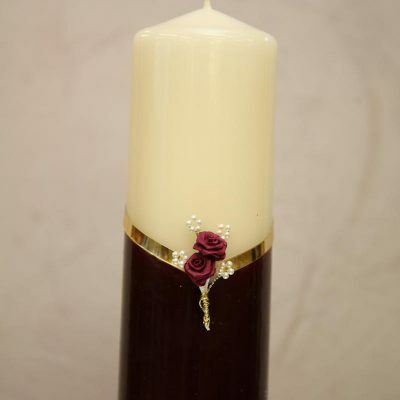 Browse through our range of beautiful wedding candles and consider purchasing one to make your big day more special. Please complete the form below to confirm your product interest and we will contact you during the next working day to confirm your requirements, take payment and arrange delivery.